On Wednesday, Oct. 14, Glenview Elementary School honored a long-serving staff member with a service award. Pictured (L-R): Principal Alondra Ramos, Cathy Mell (Teacher, 15 years) and Superintendent Doug Domene. Special thanks to this employee for her years of dedication to our district! 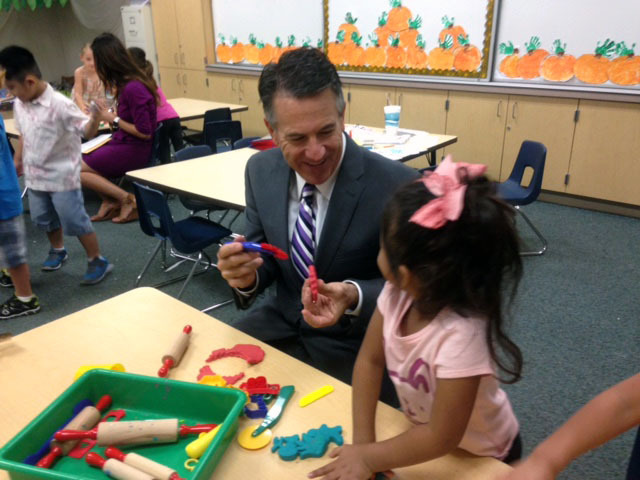 While at Glenview, Dr. Domene visited a Preppy K class, and helped the students in the play dough and building blocks learning centers. 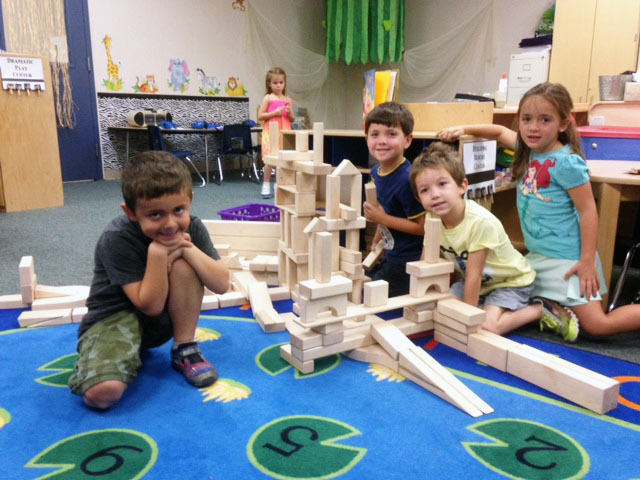 1 Comment on "Glenview Elementary School service award"
Congratulations to Mrs Mell! She is such an amazing teacher and I’m so grateful to have had my son in her class. Thank you for all you do for the kids!